In August I wrote about some baby activities in the Sonderborg area. Now that I am getting close to the end of my parental leave, here is the promised second post about further activities. As the title alludes to, stimulastik is a combination of stimulation of the baby senses with gymnastics. Occupational therapist Lotte Greve-Thomsen is the person behind this class offered either as an open group on Mondays at 9:45-10:45 or as a fixed group on Fridays. We attended five Monday sessions so far. 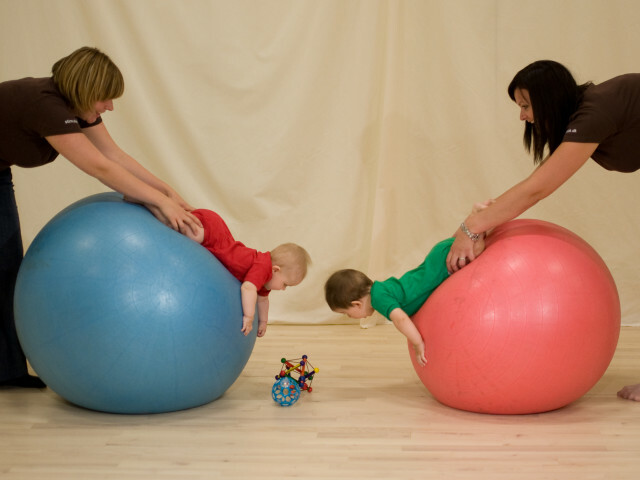 Each session starts with group exercises where the babies are moved up and down and left and right, stimulating the child’s sense of balance and orientation in space. This is followed by individual exercises at a number of stations set out around the room, such as different types of swings, a ball bath and other sensory items. The session then ends with group exercises to calm the children down. At 90-105 DKK per session (depending on which payment solution you opt for), this was the most expensive class we attended. However, it is also probably the most different from the other (mostly) singing and music-oriented classes. It is also the class that the child potentially gets the most out of. The fact that you can pay as you go, however, means that you only pay for when you are there and can decide week by week. Note: Since Lotte has moved away from Sonderborg, baby Stimulastik is now being offered by Line Lyneborg. A while ago we wrote about baby swimming possibilities in the Sonderborg area. From these we ended up going to the class offered by Rinkenæs Swimming Club at the Gigthospital in Grasten. We went there as we were looking for somewhere with warm water and this was the first class that started. As stated, there were 7 babies in the group. One new thing is taught in each session starting with floating on back and front at the first class, then proceeding to diving in different constellations. At 550 DKK (now 560 DKK) this is potentially the most expensive baby swimming class. However, our child really gained confidence in the water and went from being OK but concerned when in water prior to the course to very comfortable in water, splashing around happily. This also translated into happier bath times ;). So it was well worth it. Before the summer holidays I went to baby psalm singing at Sct Marie Kirken. 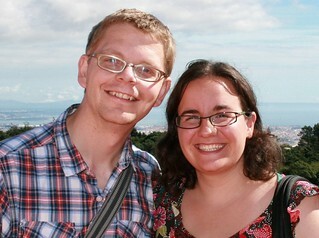 I enjoyed it so much that I thought of trying it again at Christianskirken. As with the other class it consists of mothers (mostly) and their babies, an organist, glockenspiels and cloths. However, there are also a number of differences. The Baby psalm singing at Christianskirken is of a more mellow nature than that at Sct Marie Kirken. There is no talking between songs and we just follow what the organist and her two helpers do for 30 minutes. In contrast, at Sct Marie Kirken we sang and laughed and joked for 45 minutes. However, at Christianskirken we then get 1 hr afterwards with coffee and tea to talk and chat together, while at Sct Marie Kirken we brought our own drinks and had 15 minutes. So the question would be: which would I pick? Well, first of all check which one has place as they are relatively similar. However, if you are spoiled for choice see what you are looking for most: something for the child? Then pick Sct Marie Kirken: Organist Pia has an amazing singing voice and the singing bit is longer. Somewhere where you as a parent can get some adult company? Then maybe pick Christianskirken: You get one hour of adult conversation here. The picture in this post is used with permission from ErgoLeg. This entry was posted in Having kids in Sonderborg and tagged baby, babysalmesang, children, Christianskirken, classes, gigthospital, kids, psalm singing, RInkenæs, Sct Marie Kirken, stimulastik, swimming by Ann. Bookmark the permalink.